OH. 2018 MAFS stars blocked from the Married at First Sight Instagram. "You deserve to know the truth." 2018 MAFS stars blocked from sharing how they were treated. We’re weeks away from the premiere of Married At First Sight 2019, but last year’s contestants are piiiiiiised. 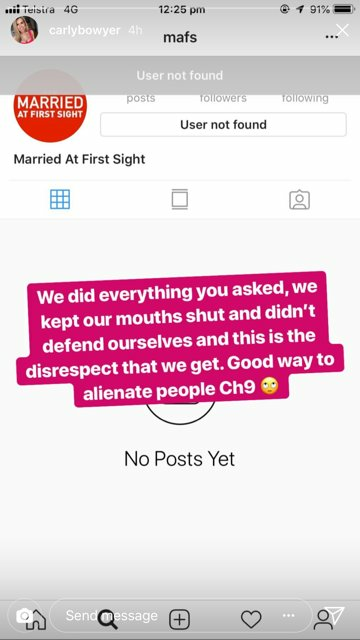 You see, the cast of MAFS 2018 has reportedly been blocked from the Married At First Sight Australia Instagram page. As a result, the likes of former contestants Dean Wells and Tracey Jewel won’t be able to comment on the Instagram page’s posts saying how the show that made them ‘famous’ also ruined their lives. 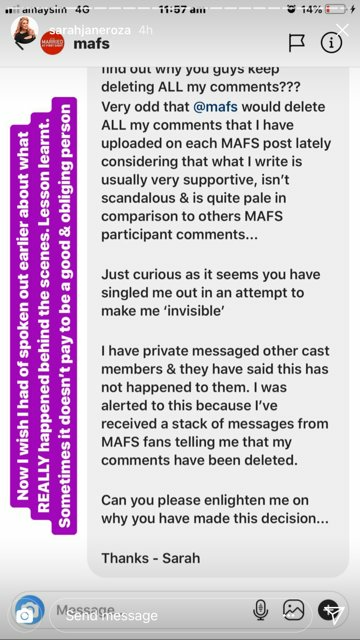 Some of the affected contestants have shared their feelings about being blocked from finding or commenting on the MAFS Instagram account on their own accounts, calling the Nine Network out for being “negligent” and “disrespectful”. 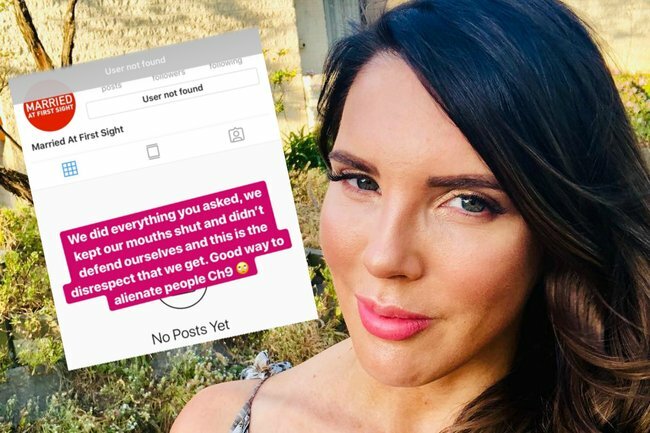 “Since we have all been blocked from #MAFS Instagram… *sigh* such a shame after giving so much of ourselves over the past 12 months and this is the thanks we get… I know better than anyone the truth comes out eventually and given we are all still under contract and we get blocked, it’s fighting fire with fire,” Jewel posted on Instagram. Wells&apos; post was a bit less diplomatic. "So we make a billion dollars or so for ch9 at the expense of our reputations and livelihoods, then make a couple of comments about the truth behind the show, and we all get blocked from their insta page," he wrote. "We are Still under contract mind you and channel nine has barely even spoken to any of us since the show ended to see how it has affected our lives, (hint* its totally disrupted it) but yeh no worries. Thanks for that. Ps I still get yelled at in the streets. Haha. Whatever all mafs season 5 contestants blocked from mafs insta. The Australian public deserves to know the truth behind this “show” thank god we can now control our own media." So we make a billion dollars or so for ch9 at the expense of our reputations and livelihoods, then make a couple of comments about the truth behind the show, and we all get blocked from their insta page. We are Still under contract mind you and channel nine has barely even spoken to any of us since the show ended to see how it has affected our lives, (hint* its totally disrupted it) but yeh no worries. Thanks for that. Ps I still get yelled at in the streets. Haha. Whatever all mafs season 5 contestants blocked from mafs insta. The Australian public deserves to know the truth behind this “show” thank god we can now control our own media. 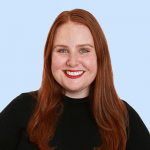 Rather than posting on her feed, Sarah Rozza shared screenshots of her communications with the MAFS Instagram account. "WOW! 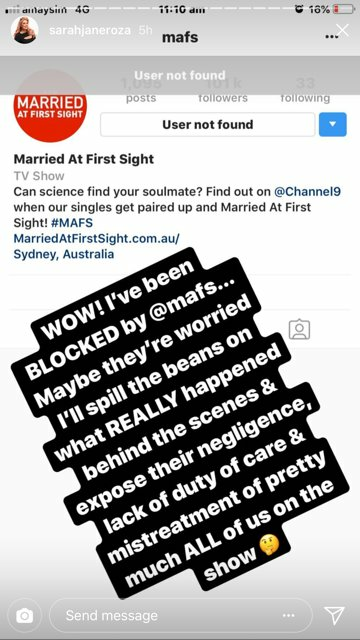 I&apos;ve been BLOCKED by @mafs... Maybe they&apos;re worried I&apos;ll spill the beans on what REALLY happened behind the scenes and expose their negligence, lack of duty of care and mistreatment of pretty much all of us on the show," she wrote. "Now I wish I had spoken out earlier about what REALLY happened behind the scenes. Lesson Learnt. Sometimes it doesn&apos;t pay to be a good and obliging person." 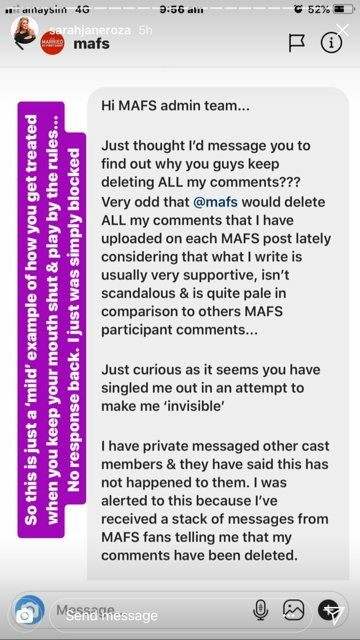 No word yet from the MAFS Instagram account as to why they blocked the 2018 contestants, but it&apos;s probably safe to assume it was a precautionary measure. But as we all know... hell hath no fury like a former reality TV contestant scorned. Will you be watching Married At First Sight in 2019?